To survey means ‘to study something in a general way’ and also ‘to view something in detail in order to know the condition or value of something.’ To survey also means ‘to study the opinions of a group of people’ and, related to this sense, the noun survey is the sample of facts and opinions gathered by surveying. 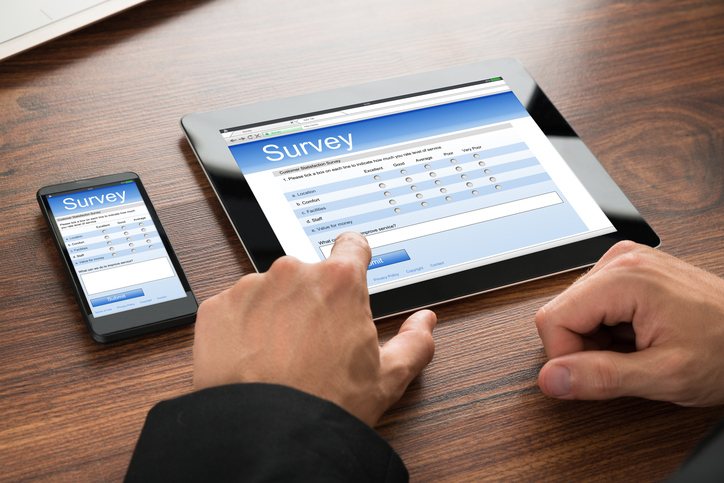 A survey is also a general description or study of something and also a formal examination. The wealthy landowner stood on the balcony of his great house and surveyed his domain. The inspector surveyed the building to see if there were any problems with it. The newspaper surveyed 50,000 people to find out their opinions on modern issues. This survey shows that roughly a third of people are dissatisfied with their jobs. This book offers a general survey of French Renaissance art. Before we bought our house, we had a survey done to make sure we wouldn't find unexpected problems once we moved in. Julia took a survey class in 20th century Spanish literature. 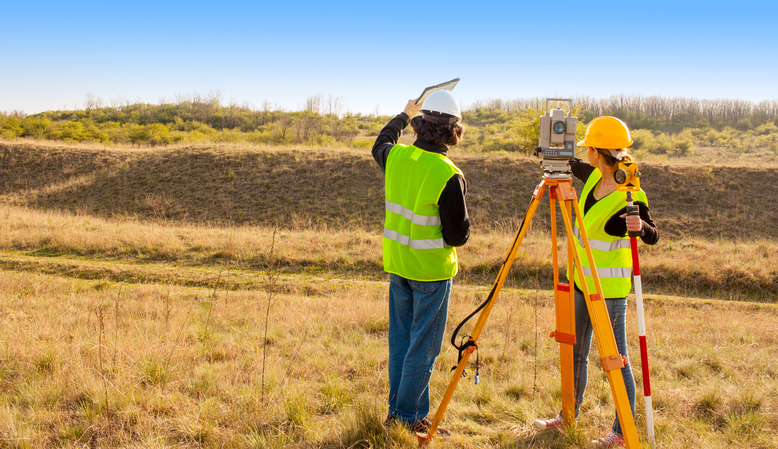 land survey: this term can refer to surveys of the topographical features of land for mapping or for civil engineering purposes. In some countries it is also a way of establishing property ownership and exact boundaries. The people who do this are called surveyors. Survey dates back to around the year 1400. The Middle English verb surveien, meaning ‘to consider or contemplate’ was borrowed from the Anglo-French verb surveier, which came from the Old French sorveoir, meaning ‘to look down at or look upon,’ as well as ‘to guard or watch.’ It can be traced back to the Medieval Latin supervidēre (oversee), formed by the prefix super- (over) and the verb vidēre (to see). The English verb supervise also came from this Latin verb. The meaning expanded to “examine the condition of something’ in the mid-15th century. The noun comes from the verb, and was first used in the late 15th century. The most common meaning we use today, ‘a systematic collection of data or opinions,’ is very recent. It was first used less than 100 years ago, in 1927.